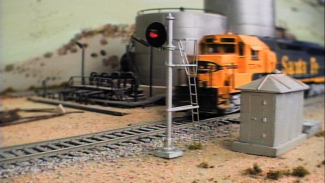 Oftentimes when building a model railroad layout, it’s beneficial to utilize a stacked scene with multiple levels. Multilevel model train benchwork offers a number of unique advantages to a scene, one of which being the illusion of grander scale. 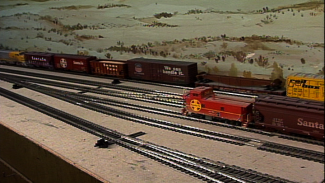 For instance, you might employ the layout of the multilevel model train benchwork if you were attempting to create a scene that depicts large-scale projects such as the Nickel Plate Road, which connects New York, St. Louis and Chicago. Using HO scale and a helix design at either end to connect your cities, you can cover hundreds of miles in just a matter of feet. This type of design opens up the playbook for a variety of new projects that you might not have otherwise tackled. So in this video, we walk you through some of the common roadblocks of multilevel model train benchwork and teach you how to come up with quick fixes for your next project. To help you figure out the best way to maximize space and create effective and beautiful model train benchwork for a two-tiered scene, expert modeler Tony Koester demonstrates his favorite ways to build the top layer of multilevel model train benchwork. Using his scene of the Nickel Plate Road as an example, Tony introduces the key concepts you need to know in order to build sturdy, streamlined model train benchwork that best displays your scene. 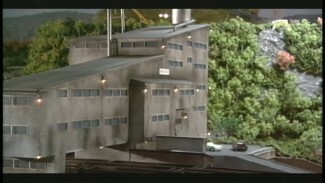 The two most important concerns for a two-tiered model railroad scene are structure and lighting. Because the top layer tends to hang over the bottom at least partially, it’s vital that you eliminate shadows and illuminate your scene properly. You can do so by affixing lights to the underside of the top layer of your model train benchwork, which should ideally be no thicker than two inches, in order to fully maximize space. The challenge of finding the right lighting solution is dependent upon the type of base you use for the structure of the top tier in your model train benchwork. 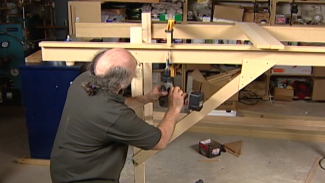 For this, Tony suggests one of two material types, either plywood or sturdy foam, and then teaches you how to use inexpensive brackets to mount the top layer so it holds without fail. Use Tony’s tips for good multilevel model train benchwork and you can open a whole new world of possibilities for your scenes.